Sveti Martin na Muri (Hungarian: Muraszentmárton) is a village and municipality in Međimurje County, Croatia. There are 2,605 inhabitants, most of whom are Croats. It is the northernmost point of Croatia. The village is one of the oldest settlements in this part of Međimurje. In Roman times people from Ptuj across the River Mura towards Lendava passed through the area and Roman coins and other material have been found. The area was important in medieval times and had several gothic churches and old castles, including Gradiščak and Lapšina. The Church of Saint Martin was built at this time and later restyled in a baroque manner. There are references to the church from 1334 (Sancti Martini) and then in 1501 (Sancti Martini Superior) and 1650 (Sancti Martini in Komory). The sanctuary is polygonal, arched with late-gothic cross vault, which is carried with ten consoles which are engraved with angel figures and floral ornaments. One has the year 1468 engraved in and there are gothic fresco wall paintings. The present sacristy was built in 1777. Sveti Martin na Muri is located in a valley between the northern hills, near where the river Mura enters Croatia, and where peripanon area slowly turns to perialpine. This results in two distinct relief systems: lowlands in the northern part of the Municipality and hilly area in the south. The municipality is characterized by a moderate fresh continental climate. The most northern part of the natural environment is the Protected landscape of the River Mura. Vegetation in the area's forests includes oak, hornbeam, alder, willow, poplar and acacia. Thanks to the diversity of habitats, fauna in the area is also rich. Mura and its tributaries, swamps and ponds contain many species of river fish, reptiles, and swamp birds, and the meadows and groves are home to low and high deer. There are about thirty species of fish registered in the waters of Mura, of which the most numerous is carp. The fact that Sveti Martin was until recently an economic appendix of Međimurje served to aid the protection of the natural environment, and the classification of the river Mura as protected landscape adds further momentum to the plans of the Municipality towards preservation of existing resources and more sustainable use. These characteristics are all favourable for the development of tourism, bathing tourism, especially eco-tourism, production of healthy food, fruit production, wine production, and management of areas alongside the river. The municipality of Sveti Martin na Muri has a highly developed rural tourism industry. It is considered one of the best rural tourist destinations in Croatia, and has received several regional, national and international tourism awards. In 2007, Sveti Martin na Muri was named one of the 10 Best Emerging European Rural Destinations of Excellence. 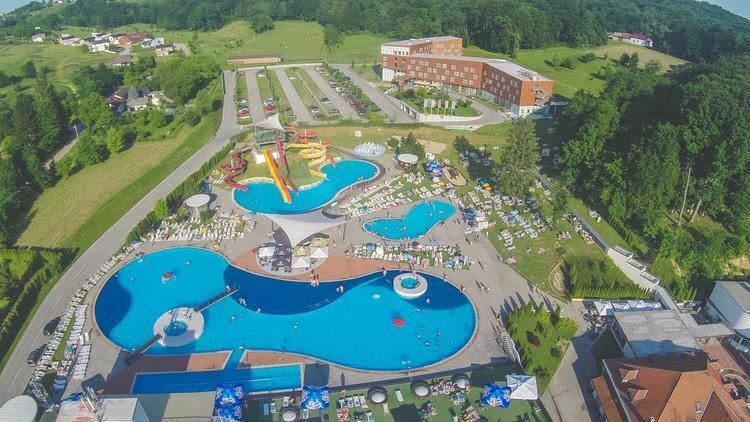 Bathing tourism is based on the healing power of the Vučkovec mineral spring.